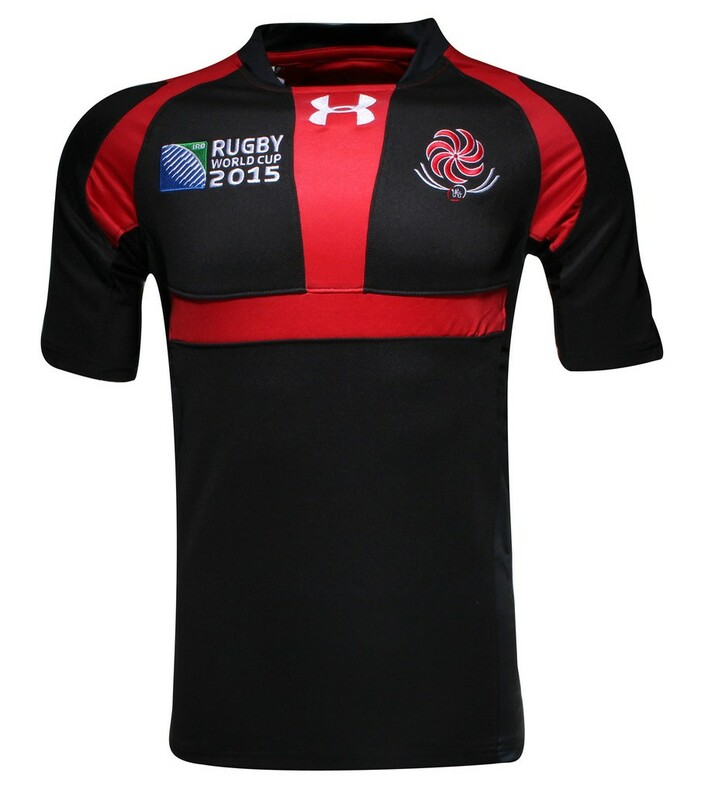 The Lelos have been supplied by Under Armour since last autumn, and we were interested to note that unlike many designs from the Maryland firm’s rugby division, it wasn’t a cookie-cutter copy of say the Wales or Clermont design. Unfortunately, it was also pretty ugly, and saw the return of the dreaded ‘Under Armour Tongue’ for the first time since 2013. Well, the Rugby World Cup shirt differs from the previous design in two ways – first of all, it is actually pretty nice, but secondly, it absolutely is a cookie-cutter copy of another UA design, in this case, it’s pretty much the same as the new Wasps shirts, but with yellow swapped for red here. That’s not necessarily a bad thing – we liked the Wasps design, as much as we were slightly perturbed as to why they were using a two-year-old template when other UA teams have moved on, and the same is the case here. The red and black work really well together, and we don’t even mind the ‘bra’ effect of the T-shaped red panel on the chest. 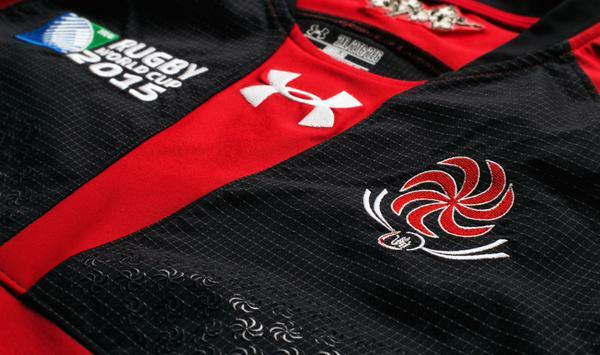 It is a little odd that Georgia gets lumped with an old template when Wales and Canada both get to use UA’s sleeker, cleaner new design. After all, while Georgia is a small country and doesn’t get a lot of chance to play Tier 1 nations in the way that Canada does, the Lelos are actually ranked substantially higher on the World Rugby rankings table than the Canucks – 13th and 18th respectively. With that in mind, surely a team of Georgia’s pedigree deserves the swanky new stuff, too? But this is all speculation – it could well have been Georgia’s choice to use the old template, after all, and that’s not to do down this design. 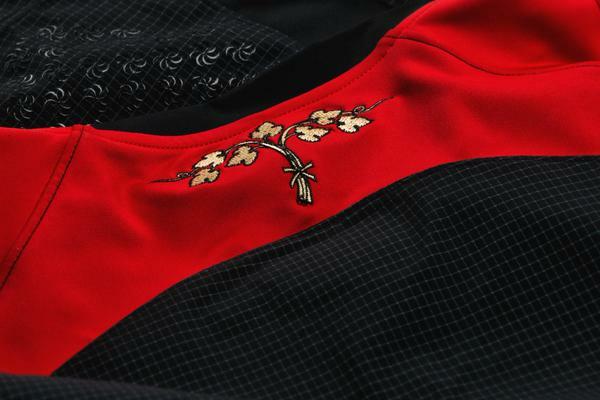 It might feel a little dated next to the current generation of Under Armour templates, but we still think it looks good, and there are some nice little touches here and there, such as the grapevine on the shoulder panel, which someone in the comments reliably informs us is related to a ‘legend about old Georgian warrior tradition’. So, er, that! Under Armour have long been at the forefront of ‘people who do interesting things with grip panels’, and following on from Wasps’ sponsored Land Rover grippers and Wales’ dragon scale pattern, we have a pretty cool and unique take on it here too. 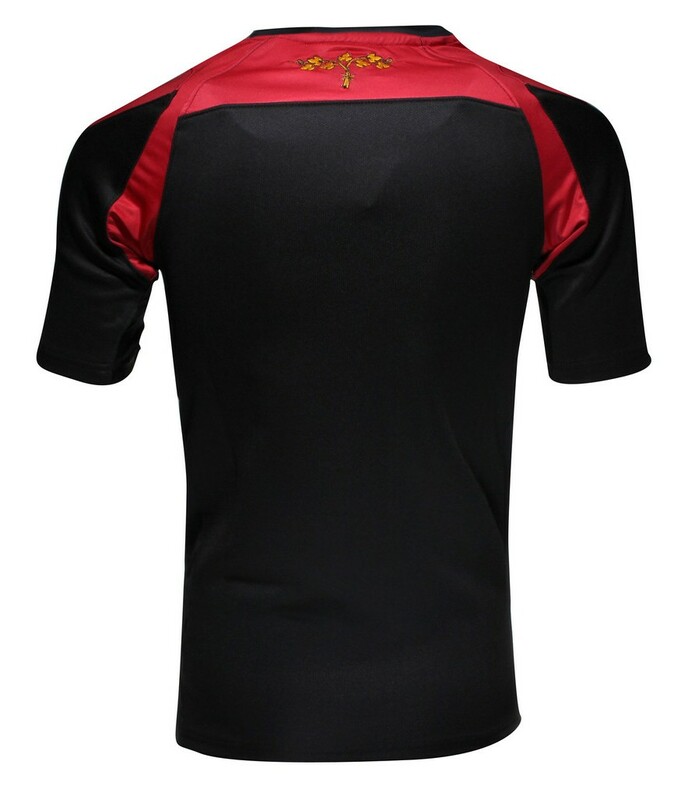 The pro version of the Georgian shirt is positively covered with teeny tiny crepuscular ray motifs – it’s really cool, and makes the shirt feel a lot more professional. With a pack stacked with players who’ve performed at the highest levels of club rugby in the Top 14 and Champions Cup, and impressive depth in that area, too, the Georgians are going to be no pushovers in this year’s tournament. This new Under Armour shirt might not be the most elegant or beautiful design that we’ve seen this year, but there’s a rugged, industrial simplicity to Under Armour’s panel-based design that kinda fits. Is it the best shirt there? No, but then Georgia aren’t the best team there either, but they’re still going to give a decent account of themselves. This shirt does likewise. The design is almost the same I agrree. but the material of the jersey and technology is totally different, and that makes difference. 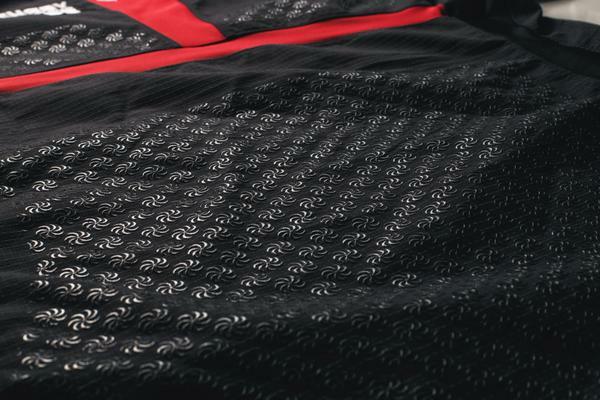 Embroidered black logos look nice (which we don’t see on those photos above.) In all, original one looks more neat and of higher quality than the ones presented at rugbystore.co.uk and lovell rugby shop.